I mentioned the other day about the beautiful book I was given for my birthday. I went through it last night cover to cover and there was no end to the inspiration in front of me – men and women alike. So tonight I opened it at random and started sketching the first page I opened to. It is so refreshing to see this type of street photography where the focus is more just on the individual than the outfit they are wearing. I’ll keep this one short and sweet – this weekend will be spent painting now that we’re back home and more or less settled in. I have a belated birthday dinner with my family, and I’ve asked my wonderful husband to help me build a corner booth for our kitchen – I’ll be sure to post some pictures Monday if we actually follow through with it. This entry was posted on Friday, October 26th, 2012 at 3:00 am. 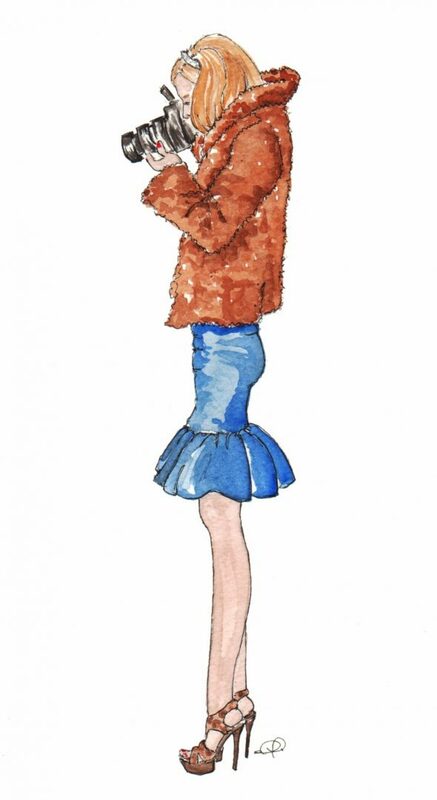 It is filed under Ladies and tagged with Design by Streetlight, fashion illustration, watercolour, yyc blogs. You can follow any responses to this entry through the RSS 2.0 feed.